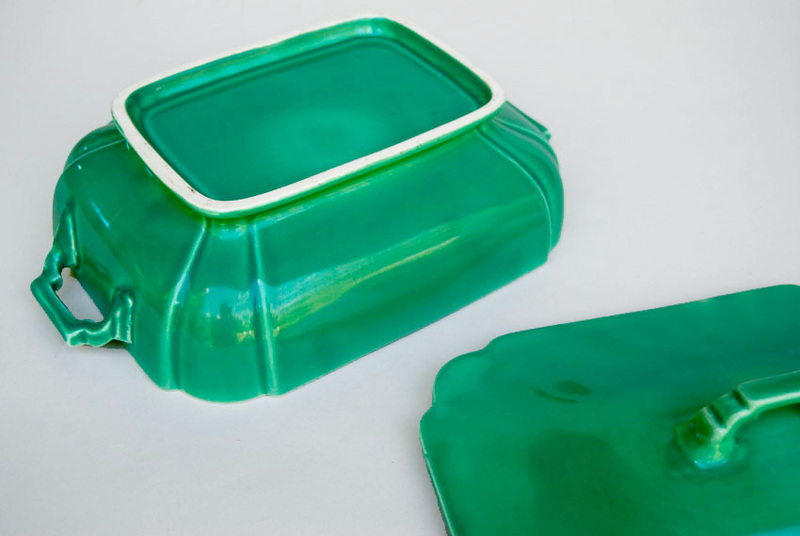 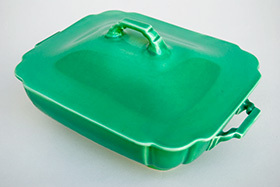 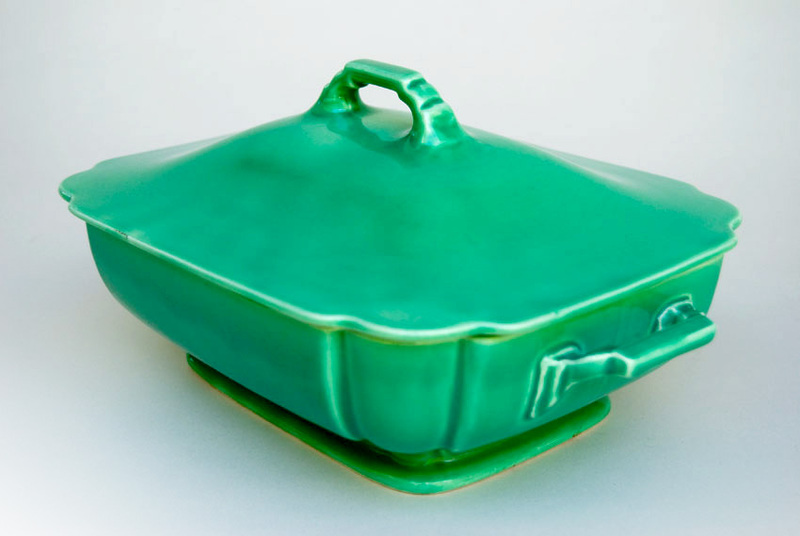 Circa 1936-1945: Scalloped edges and architectural elements brings the art deco shaped Riviera covered casserole by Homer Laughlin Pottery Company from the 30s and 40s to life. 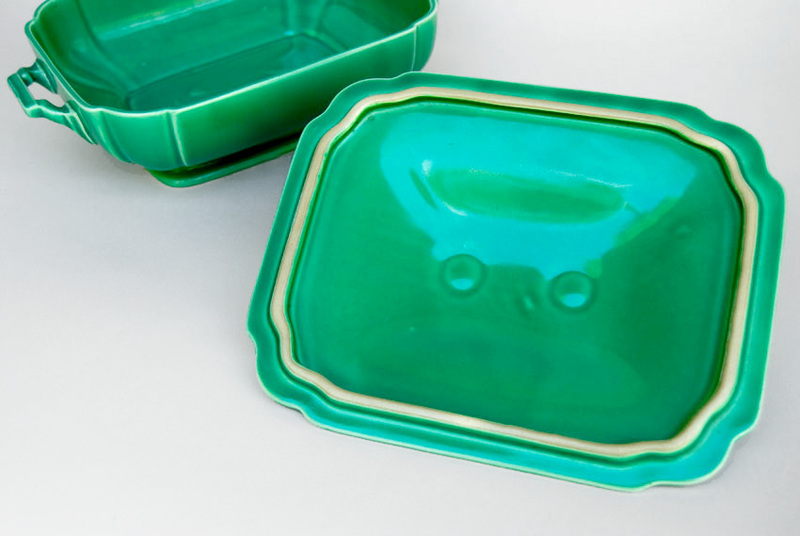 Riviera pottery makes a great transition from the Fiesta dinnerware line because they share the same wonderful glazes, not to mention designer. 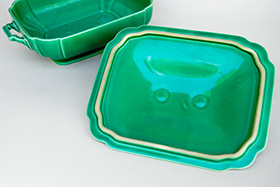 One of the most impressive pieces in the small Riviera line. 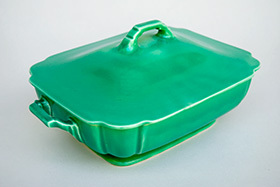 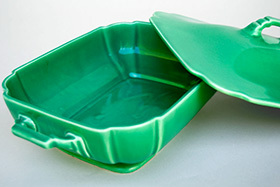 This example in the early original green glaze is in excellent condition without damage or use. 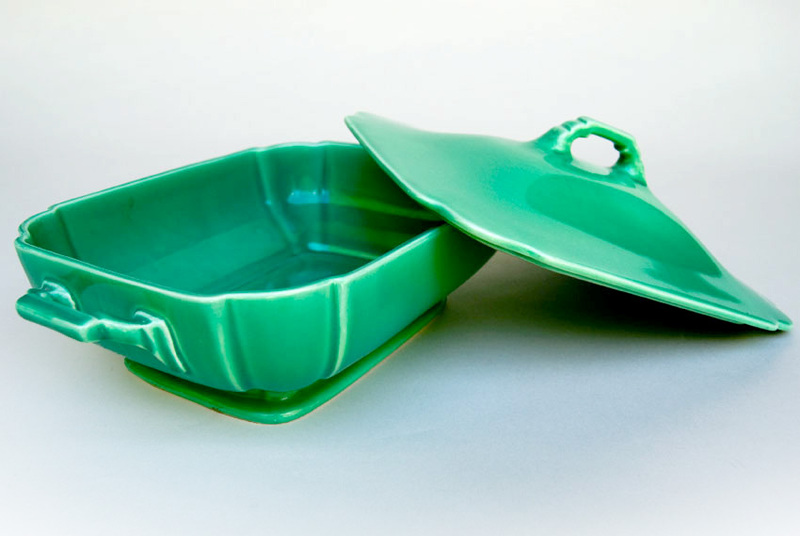 The lighter weight pottery is much more prone to damage than its Fiesta counterpart and it's always a treat to find nice pieces in such wonderful shape.